Explanation: Slide your cursor over the image to identify three members of this intriguing gathering of galaxies. Known as the NGC 7771 Group, they lie almost 200 million light-years away toward the high flying constellation Pegasus. The largest galaxy, barred spiral NGC 7771, is itself about 75,000 light-years across, but will someday find itself part of a larger galaxy still. 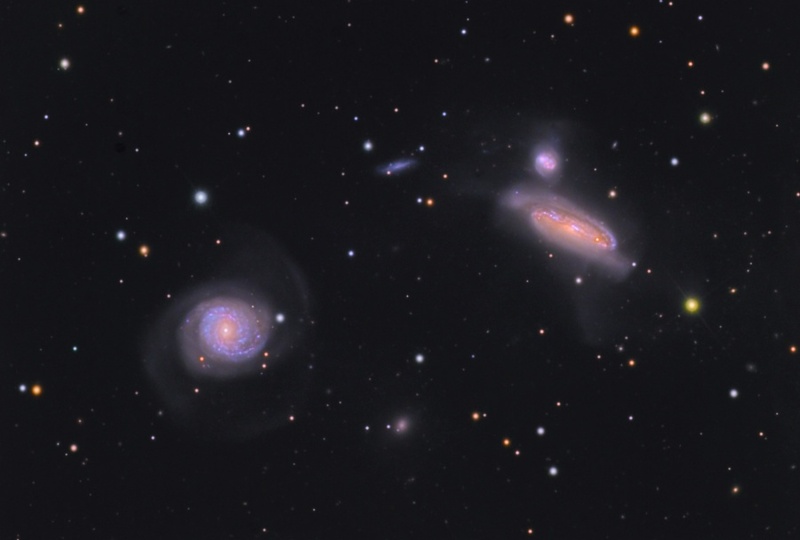 As the galaxies of the group make repeated close passages, they will finally merge into one very large galaxy. Played out over hundreds of millions of years, the process is understood to be a normal part of the evolution of galaxies, including our own Milky Way. Editor's Note: The labeled version of the image was generated by Astrometry.net.